The Medicine Show The Home For The House Concert, and Flyinshoes Review. 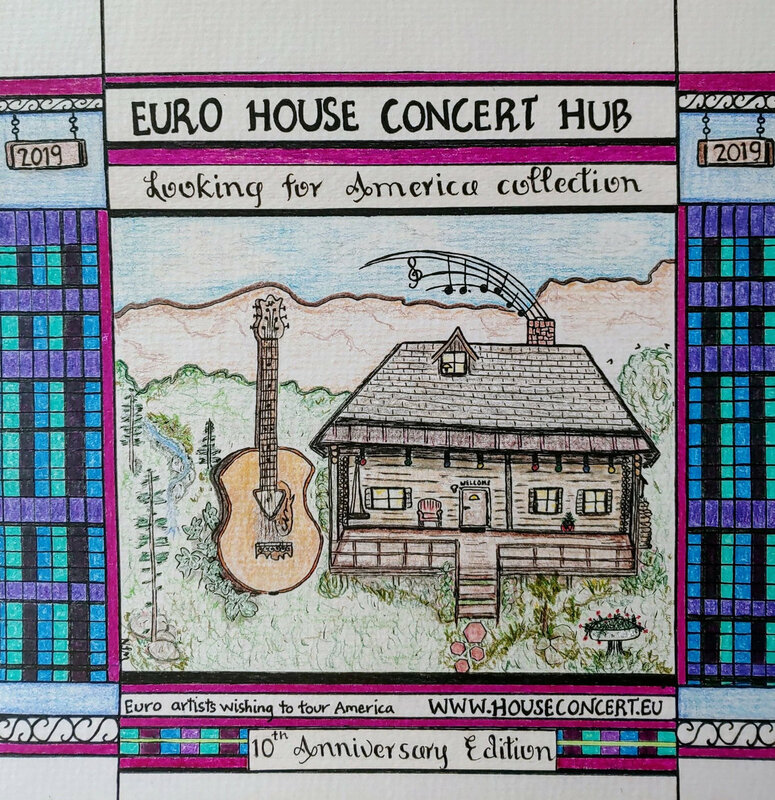 The House Concert hub is host to upwards of 2500 members, please consider joining here www.houseconcert.eu . Heartland FM, on www.theonlinestation.co.uk & now on www.bluesandrootsradio.com out of Toronto. A full integrated conventional and digital media promotion service. Scottish promoter publicist presenter and head honcho at FSR Rob Ellen's Medicine Show Radio Moose Mobile is loose Stateside again on our on going mission to visit as many listening room venues cool Clubs, Festivals and House Concerts to seek out and connect as much independently minded musicians as possible across 2 continents with Community venues. Scots promoter presenter publicists & adventurer Rob Ellen makes his return home in the very best of company. Carrington MacDuffie is a New Yorker now resident in Austin Texas, described as "Carol King meets Grace Jones" she is currently on a 30 date European tour. The Medicine Show Radio Moose Mobile our mobile broadcasting and recording studio Campervan is about to undertake our biggest UK Stravaig to date June 5th till June 25th. Our star on this revue tour is Austin Indie high priestess Carrington MacDuffie Fraser Anderson joins us in the West Country you could be on the bill at at least one of these dates. It´s my pleasure really. As soon as I have a post in my blog I will contact you. Thrilled to have you on board. So glad you like the new album. All tracks for the new album "Danny Darst - American Songwriter" as well as the 3 new single releases can be heard at http://www.DannyDarst.com but if you need the downloads email me & I will get them to you or if you prefer I can send you the CD. Just let me know. Love the show BTW. One of my personal favorites always. Thanks for letting me know about Del Day's positive comments re It's Alright. Recording of the next album The Weatherman is progressing well. Thanks for friendship Medicine Show! Kind regards, Spike. Thanks a bunch! We will post some music when we can get our own computer up and running on the internet here. Just working things out since we arrived yesterday. We were thrilled with the review. One of our very favorites.